Mix all ingredients of dough and make semi-soft dough from it. Keep aside covered for minimum 10 minutes. Make equal balls from dough and roll a ball with dry flour. 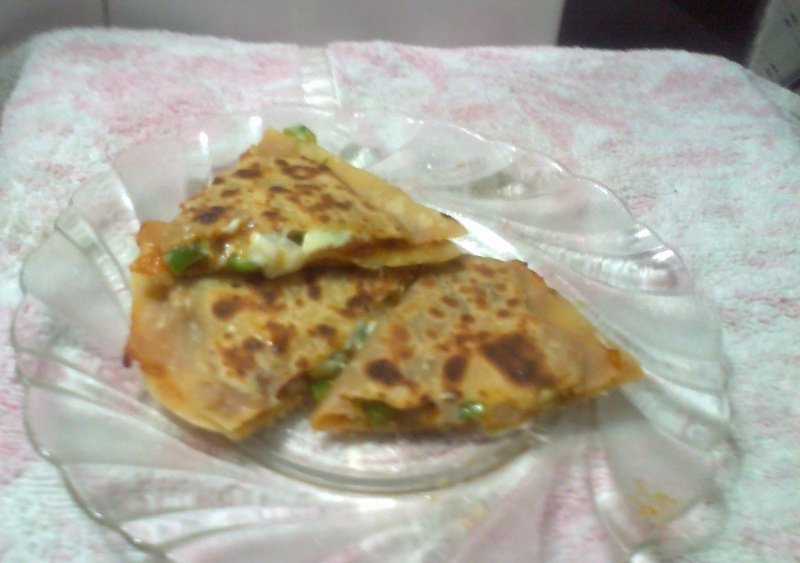 Spread some pizza sauce on half portion of the paratha and sprinkle finely chopped onion and capsicum over it. Cover with grated cheese as per the taste and now time to sprinkle some chilli flacks and oregano. Cover it with the another half portion of paratha and seal properly. Shallow fry on the griddle with oil or butter till light pink and crisp. 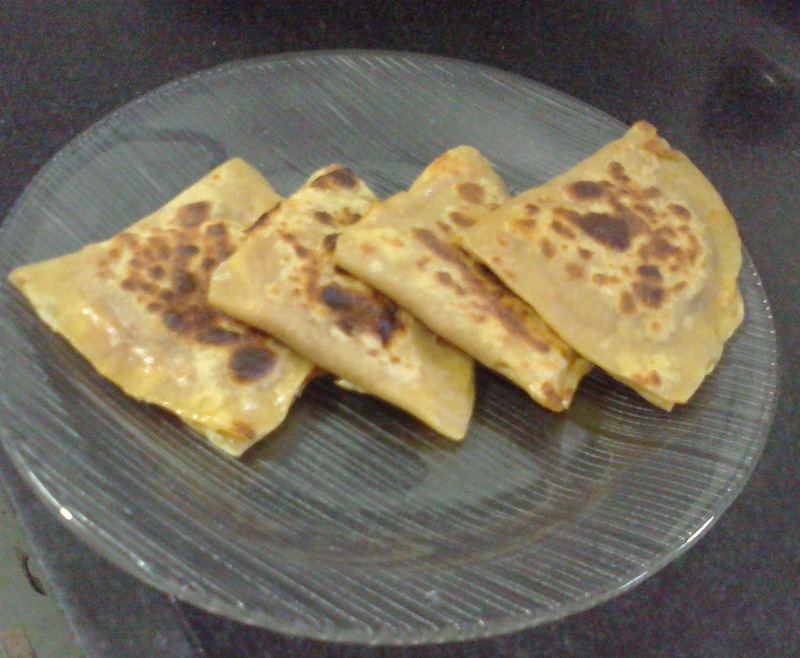 Cut and serve hot and delicious Pizza Paratha.